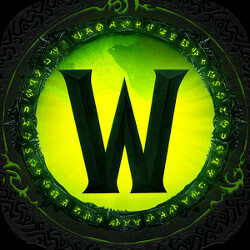 Blizzard announced earlier this month it will launch a companion application for its recently released World of Warcraft expansion, Legion. Today is the day that World of Warcraft fans can download the promised Legion companion app on either Android or iOS platforms. Obviously, the application is available for free, but it requires an Internet connections, just like the PC game. If you've already poured in a decent number of hours into Legion, you'll be pleased to know that the companion app will save you some instead. Here is what you can do directly for your smartphone without having to log in onto the PC game. Well, first of all, you can see which missions are available in the Class Hall and start them directly from the phone. You can also complete these missions and collect the rewards, as well as manage followers, upgrade their gear, and recruit troops for future missions. The Class Hall upgrades and research can be commenced directly within the companion app too. If you've already maximized your character's level, you will also be able to see active world quests and emissary bounties from your phone. Naturally, you will still have to play the PC game in order to do any of these world quests. Keep in mind that in order to make use of all the features included in the companion app, one must have an active World of Warcraft subscription and characters of level 100 or up. World of Warcraft accounts on Starter or Veteran Edition will not be able to access all the features of the companion app. World of Warcraft: Legion companion app is a time saver for fans of the PC game since it allows them to manage their Class Hall while on the go. Also, after thoroughly testing the app, I can say that it works exactly as intended. Not sure if it's just me, but this app decimates the battery life on my S7 edge. I have to Force Stop it, otherwise my battery just continues to drain ridiculously quickly.